Mohair yarn, in particular superkid, is especially suited to knitwear. The almost unbelievable softness and the unique lightness of these fibres make possible a garment that is pleasing to the touch as well as very light on the skin. Mohair, with its natural brightness, dyes well, and therefore lends itself to brilliant colors that do not fade easily. The garment produced from mohair is become fuller and lighter with every washing. It answers all the needs of the final consumer, as well as those of fashion. The most famous names in fashion continue to make use of this fibre, each time in new and original ways. If processed on fine machinery in an extremely lightweight knit, the fibre takes on an inexpressible lightness and sweetness to the touch that underlines feminine beauty. 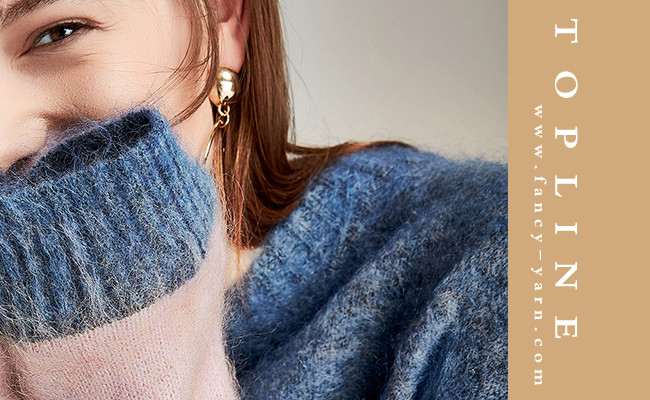 The versatility of mohair spotlights the creativity of Made in Italy, but above all it enables this fibre to respond to all the evolutions in stimulus provided by fashion experts with each new season. Mohair can guarantee the success of a great variety if ideas; for this reason it is the favorite fibre of the protagonist both of high fashion and of ready-to-wear.